Favorite Freezer Foods is near and dear to my heart. When I first moved to Canada I really missed my family’s cooking and I couldn’t just call home and ask for recipes before I made dinner because my husband and I were on night shift and my family back in the states were not. I eventually started writing down all my family recipes and any new ones I discovered and loved. Those were kept in three ring binders but sharing them with friends and family meant typing them. From there it was a short step to building my own website. 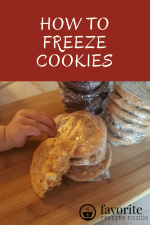 From day one my reason for having this website has been twofold; to provide income for myself and my family and to share my love and knowledge of food with others helping them make mealtime easier with freezer cooking.. I firmly believe that the best way to make a living is to help other people. Provide value for others and you shall have all the riches in the world. Thus I do my best to give the highest quality information I can. I make every recipe and freeze it, reheat it and test it often multiple times before adding it here. Yes, it’s a slow process but I believe it is worth every minute. Does this help more people? Does this help people more? Helping more people is about increasing reach. Helping people more is about providing more value. If something accomplishes neither of these two objectives I don’t do it. I will always give my honest and complete opinion of any products or services that I review, regardless of compensation, because it is only by being completely truthful that I can genuinely help people (meaning consumers not advertisers or stockholders). As I strive to eat better and healthier I am excluding things like high fructose corn syrup from my diet and will not promote products that use such ingredients. I will not accept money or gifts to favorably review a product or service that I would not use myself or feed to my family. It’s a fine line sometimes deciding what is best to eat or to purchase. I try not to preach about organics, sustainable farming, ethical purchasing decisions or the like because I’m not an expert in those fields. Instead I do my best to give people options. If you do not want preservatives in your bread but don’t have the time to make bread from scratch everyday you can use my recipes and techniques to make large batches and freeze them for when you do need them. Or make flatbread that taste better than store bought loaves and is ready in minutes. Google Adsense and Affiliate Network including the third party sites through google's networks. 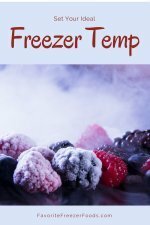 Would You Like to Advertise On Favorite Freezer Foods?